I don’t know the laws in your state, but in PA if you ignore those 8 inches encroaching on your property for 20 years, you have just given up those 8 inches to your neighbor. So yes, it can be important. I agree with Gail, the law in Massachusetts also says that if you don’t assert your property boundaries you lose that land. Keep it positive, keep it legal and strictly to the letter, and keep throwing bit and pieces of “Love” at her, it’ll pay back in one way or another (making her life a little easier and lessening frustration and guilt on your end). Good luck! In Georgia the time limit for addressing boundry encroachments is 7 years. 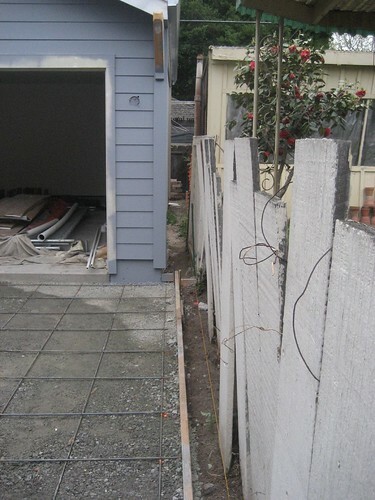 After that, the encroachment becomes a permanent easement as a tenent by adverse possession. I would strongly suggest getting a real estate attorney to draft a letter demanding the removal of the fence. At least that would probably stop the clock if it is not already too late. It sounds like you have nothing to loose anyway as far as your relationship with this heighbor goes. On relationships with neighbors…our last neighbors disliked us so much they moved…next door to you!